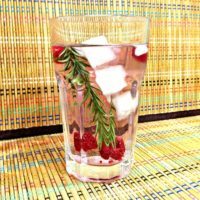 Home » Living Clean » Infuse Your Water -Healthy Hydration! Trying to find new ways to make drinking water more fun? Look no further! Here are some of my favorite ways to add fun and flavor so I can get all the benefits of water and sneak in some extra nutrients, too! You can simply drop these goodies in water and let soak overnight, or you can squeeze and muddle them to extract more flavor. Enjoy these by the beach, lake, swimming pool or patio all summer long! Tasty refreshments help keep you cool and hydrated in the heat and the fancier they are – the more you feel like you’re on vacation. Share the fun with others by offering these delicious drinks at parties and other social gatherings. Make drinks colorful by using frozen fruits instead of ice cubes, or add some zing with the flavor mixes below. Lemon Basil/ Mint – add lemon slices and whole basil leaves to a pitcher and cool before enjoying. Green Apple and Cucumber – thinly slice green apple and cucumber and add to water for a sweet crisp flavor. Strawberry Mango/Lemon – add strawberries and mango slices to water to make a tropical cooler that will have you feeling sand between your toes and the sun on your skin! Cucumber Lemon Cilantro/Mint – cucumber, lemon, and cilantro make a tangy and refreshing combination. Raspberries and Lemon – It’s sophisticated lemonade! Infuse for a sweet and sour combo. Grapefruit and Basil/ Orange – perfect for those who prefer more sour than sweet! Add in some blackberries to make it look even cooler. Raspberry and rosemary/ Blueberry/Mint – this refreshing combo boasts vitamin C goodness and tastes even better when you add lemon! Orange and Blueberry/Pineapple/ Mango – this simply looks delicious, but the flavor combination makes my mouth water (pun intended!). Strawberry Mint Lime/Raspberry – add in cucumbers to give this infusion a little more earthiness and to complement the mint! Blueberry Lavender – this is perfect for a quiet evening at home, when you want to relax (lavender has been shown to have a calming effect on nerves!). Use only fresh lavender flowers. I also grow sage in my garden, which produces a beautiful purple flower that’s edible; it gives a color boost to my vegetable garden. Add it to this drink for more intense color and a unique flavor that goes with a savory meal. Lemon Lime or Blood Orange – we grow dwarf lemon, lime and blood orange trees so this combination is always a go-to. Coconut Water (Fresh or pasteurized) – Strawberry Banana Peach- crack open a coconut (or have it done for you) or twist the cap to coconut water and blend with ice, frozen strawberries, bananas, and peaches for a flavorful ice-cold smoothie! « How to Enjoy Summer Flavors! Comment on Infuse Your Water -Healthy Hydration!